To be totally honest...I had no idea book blogging was even a thing when I started blogging. If you were to look over my earliest posts (please don't) you would see a point in my blogging where I sort of "came out" as a book lover. I joined the blogging community for totally different reasons that didn't pan out exactly, and I sort of fell into this realm of what I call "quasi-book blogging". Once I began to accept the true nature of my nerdiness and found others who did the same, it became all I wanted to write about. Well, not really. Books weren't the only thing I wanted to write about. I also wanted to share my life as a mother and military wife and traveler and music lover. It sort of dawned on me one day that people would appreciate a review from someone they actually know. But I was nervous. Could I do that? Could I be both? Was I allowed to do that? As if I had to choose a side...lifestyle or book blogger. Henceforth, I settled into this "quasi-book blogging" and I noticed some of my FAVORITE bloggers do the same. And I trust their opinions more than anyones. They're the ones linking up with me every week. Has blogging changed what and how I read? Yes! In 2011, I read TEN books the whole year. In 2012, I had read ten books by July and more than doubled it by the end of the year. It's not a matter of "having" to read because of a deadline, but being a part of the blogging community, you're constantly learning of good books and before you know it, you're TBR shelf is overflowing. It's a matter of momentum, and book blogging gives me momentum. I don't read faster, but I do read more. Books have become so much more present in my daily life. When, I get online and check my blog reader, I see a review or a book quote or book chat response, and it inspires me to go pick up a book and read. Since joining NetGalley, I take my book reviews more seriously. I don't put too much pressure on myself to meet deadlines and Lord knows I don't get them all done by their archive date, but I try. I feel so good about myself when I finish an ARC and post the review and know that I contributed just a little bit to that book's publicity. Sometimes, it is hard to balance out my review-reads and my personal-reads. I'll go on a requesting rampage and before I know it, I have five new Galleys to be downloaded and it weighs me down. I try to alternate between the two. Also, I have become more picky about what I request. In the beginning, I was requesting anything, but now I only request the books I would pick up on the bookstore shelf. It helps to keep me honest too. I hate when book reviews are all hearts and flowers. You can't like them all. If it was just...okaaaayyy (shoulder shrug) then it doesn't deserve four stars. Sometimes our rating system needs to be calibrated. I find that reading a book of my personal choosing helps to remind me what I really like or don't like. So...who inspires me? These are a few of my favorite book bloggers. They are honest and real and I actually enjoy reading their reviews. Book Rock Betty - best review format ever. Gone with the Words - the FIRST book blog I ever followed and been consistently reading ever since. Novel Sounds - combination of music and books...clearly up my alley. So now, after two years of blogging, I feel like I have settled into a comfortable place with the blog. I don't stress myself out over how big it is or should be and I don't care much for numbers. I get to blog about my life and have cool people to discuss books with...what more could I ask for? So, let's hear it. Share your thoughts on the topic. 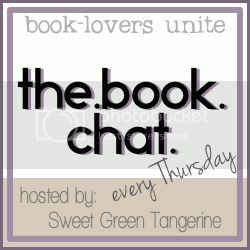 Do you consider yourself a book blogger? Do you write reviews, receive ARCs or have you met any good authors? Has blogging changed how and what you read? WHO are your favorite book bloggers? I felt the same way when I first started Net Galley. I was overwhelmed with the amount of what I "had" to read and then I didn't want to. I feel the same inspiration now and I love reading so much more. I totally love this! I haven't heard of NetGalley before. I use GoodReads and get alot my ARC from the giveaways I enter. I have 7 coming right now. It's exciting to get books in the mail. I also had to figure out that I can't just click on whatever book though. I should enter for books that I would enjoy reading, still hard but better for me and the author.